San Antonio is having a birthday, and it’s a big one — the Alamo City is turning a whopping 300 years old. How many other places in the US can say that? And there’s tons more you probably didn’t know about the city. Let’s celebrate its Tricentennial with margaritas and tres leches on the River Walk, but let’s also get down to business: Here’s what else you should know about San Antonio. 1. The only UNESCO World Heritage Site in Texas is right here. You probably know the Alamo — it was a mission and fortress compound established in the 1700s and the site of the infamous Battle of the Alamo in 1836. But San Antonio has four other historical missions, too: Mission San Juan, Mission San José, Mission Espada, and Mission Concepción. In 2015, these sites were all given UNESCO World Heritage status, making them collectively one of only 23 in the US, as well as the only one in Texas. 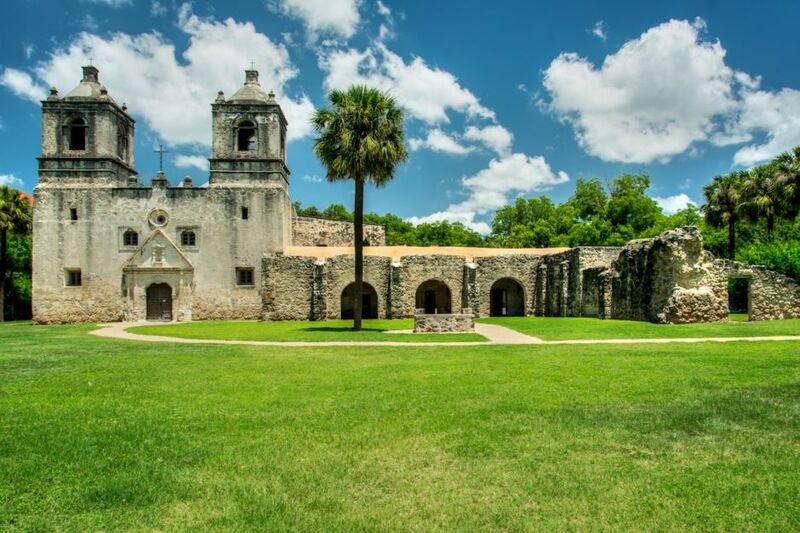 Together, the four missions (excluding the Alamo) also make up San Antonio Missions National Historical Park. You could pick and choose which to see, but it’s easy enough to explore the four “others” via the River Walk’s Mission Reach extension, an eight-mile biking and walking trail connecting the sites along the San Antonio River. The trail is dotted with picnic areas, bridges, and pavilions, making this a solid day’s excursion. The park headquarters is at Mission San José (that’s where you’ll get the lowdown on the missions’ history), but all four missions offer weekly Catholic services and can be visited throughout the week for free. 2. This is one of the most haunted cities in America. 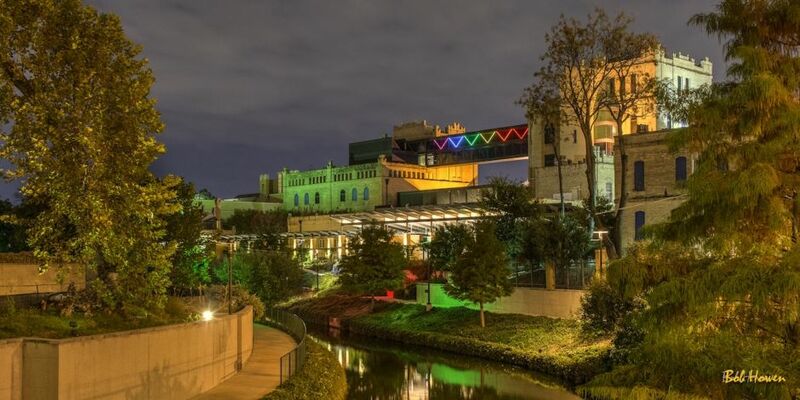 Although such statistics are a teensy bit subjective, San Antonio often ranks as one of the top haunted cities in America. Remember how 2018 marks its 300th birthday? That’s a lot of years…and a lot of opportunities to accumulate ghosts. Haunted hotels — like the Menger and Crockett — are part of every ghost tour, and so is the Alamo itself. Other local urban legends include ghostly sightings at the state hospital, along railroad tracks, and at the Alamo Street and Majestic Theatres. Ghost tour operators abound (check out Sisters Grimm, Alamo City, or RJA), though if you know where to go, you could simply DIY. You know, if you’re willing to risk it. 3. Phil Collins is inspiring the next San Antonio museum. Rather than spending his rockstar money on what rockstars normally spend money on, musician Phil Collins (Genesis, Tarzan, the guy who can feel it coming in the air tonight) was so intrigued by the history of the Alamo, he started collecting memorabilia — almost anything he could get his hands on. Eventually, he amassed a collection of 204 items valued at over $15 million, and he then donated the entire lot of it to the Alamo. Unfortunately, it’s not public — yet. Plans are still being drawn up, but when it opens, the exhibit is bound to be impressive. The collection includes a leather musket ball pouch and gun used by Davy Crockett, as well as an original Bowie knife used by Jesse Robinson (compatriot of Jim Bowie, for whom the knife is named). 4. Johnny Cash’s vandalism is in the Witte Museum. When a not-yet-famous Johnny Cash met his first wife, Vivian, he carved “Johnny loves Vivian” into a park bench on the River Walk, immortalizing his passion for the San Antonio native and his soon-to-be-bride (they got married at St. Ann’s Catholic Church, not far away). 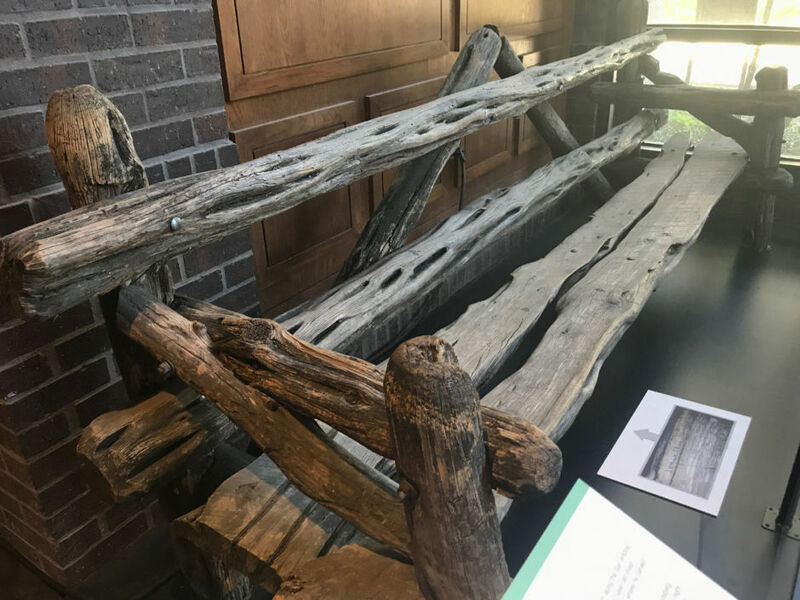 The bench was eventually relocated to the Witte Museum, where the Man in Black’s testimonial is displayed for all to see in the B. Naylor Morton Research and Collections Center. That’s in addition to the Naylor Family Dinosaur Gallery, the People of the Pecos Gallery, and the Texas Wild Gallery, to name just a few more reasons to visit. The Witte recently remodeled over 170,000 square feet of space, so don’t expect this one to be a quick pitstop. Don’t miss: For 2018, check out the special Tricentennial exhibits like 300 years of San Antonio History: Confluence and Culture and Gathering at the Waters: 12,000 years of People at The Witte. 5. There’s history in the tea garden. Way back in the 1800s, San Antonio’s current-day Japanese Tea Garden (near what’s now the San Antonio Zoo) was part of a quarry. German masons worked there, extracting stone for many of San Antonio’s classic buildings, like the Menger Hotel. The area was later home to a cement company, explaining the kilns still standing on the property. Then, in 1918, the quarry was turned into the Japanese Tea Garden it is today (using a prison labor force to construct the walkways and bridges). So what’s up with the “Chinese Tea Garden” sign you’ll see when you visit? After the bombing of Pearl Harbor, anti-Japanese sentiment was so high in the US that the name was changed to Chinese Tea Garden (even the Japanese caretakers were replaced). The name was changed back in the 1980s, but the Chinese Tea Garden sign still remains. The tricky past only makes the spot more interesting, adding a complexity to its beauty. And beauty it has — the grounds and stone bridges are so meticulously maintained that even the koi look content. 6. Fiesta San Antonio hosts the second-largest parade in the US. 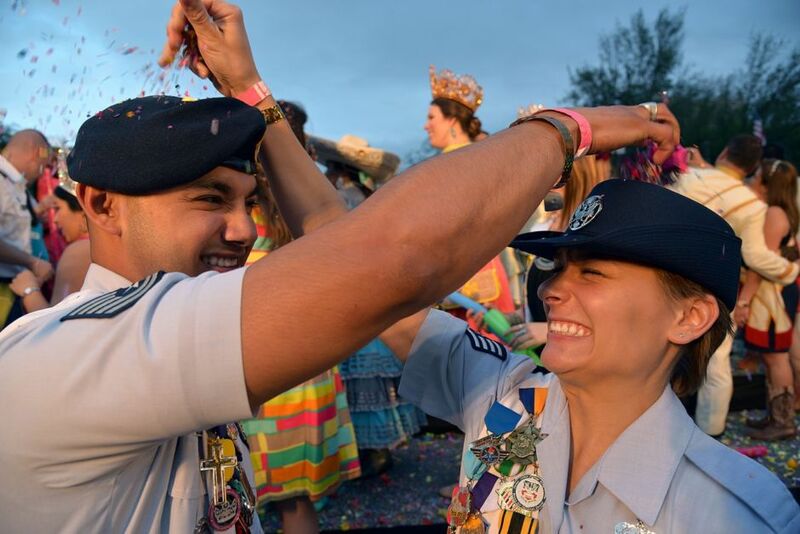 It may lose out size-wise to the New Year’s Day Tournament of Roses Parade in Pasadena, but did you know that San Antonio’s Battle of Flowers Parade is organized completely and entirely by women? Beat that. It’s also the historical genesis of modern-day Fiesta San Antonio, one of the most exciting times to be in the city. The humble beginnings of the parade go back to 1891, when it started as a flower fight. Visitors arrived in their decorated buggies and, rather than use weapons to reenact the battles of the Alamo and San Jacinto, blossoms were thrown. As the Battle of Flowers became more popular, the parade grew, and carnivals, balls, and other parties were added to the festivities. Today, this mega-event spills out across the city and even into neighboring towns and is a great time to visit — all 11 days of it. And you can bet that in 2018, it’s going to be huge. Texas huge. Tricentennial huge. Be there April 19-29. 7. The Alamo isn’t the only UNESCO claim-to-fame in San Antonio — so is the food. In November 2017, San Antonio was officially recognized by UNESCO as one of two “Creative Cities of Gastronomy” in the US. 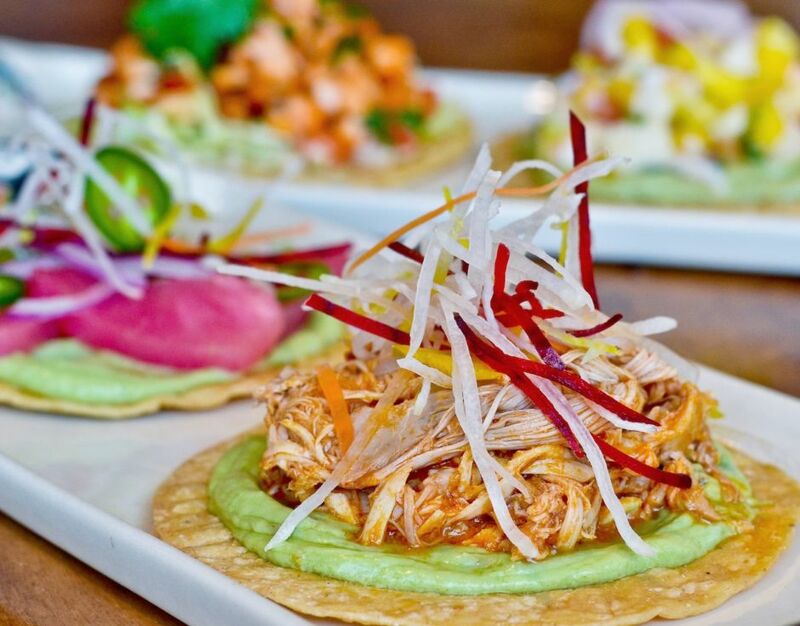 You might take that to mean “awesome tacos,” but it goes about a hundred cuisines deeper (though yes, the tacos are incredible). Centuries ago, Spanish colonists and Gulf Islanders arrived in the area, mixing their flavors and spices with the traditional tastes of the indigenous population. Since then, wave upon wave of immigration has left its mark on the local cuisine (German bratwurst, anyone?) — combine this with the fact that Mexico is right next door, and you’ve got an eclectic foodie scene here, to say the least. And while it’s almost accurate to say San Antonio defines “Tex Mex,” anyone in the know is now calling it “Tex-Next.” Because what’s going to sweep the nation in the years to come is probably (definitely) already in San Antonio. 8. Yes, you can turn breweries into museums. What happens when you mix art with beer? Answer: the San Antonio Museum of Art. The museum acquired the former Lone Star Brewery in the 1970s and opened its doors in March 1981. In the beginning, the focus was on art from the Americas. Then, with the 2005 addition of the Lenora and Walter F. Brown Asian Art Wing, the museum gained one of the largest collections of Asian art in the US. Don’t miss: In 2018, check out the special Tricentennial exhibition, Spain: 500 Years of Spanish Painting from the Museums of Madrid. 9. Mark Twain considered San Antonio to be one of four unique cities in America. America’s greatest humorist once penned, “There are only four unique cities in America: Boston, New Orleans, San Francisco, and San Antonio.” And Mark Twain should know — he traversed the country by covered wagon, sailed up and down the Mississippi River, and traveled by ship to Europe and the Middle East. With the addition of cities like Las Vegas, and other places like New York doing an about-face since Twain’s time, the list might be a little longer today. However, San Antonio definitely still has its own vibe, and you’d be hard-pressed to find anywhere else like it. And just in case you’ve forgotten, it’s the only one of the four that can even talk about tacos. 10. The Tower of the Americas is the second-tallest observation tower in the US. You probably picture Seattle when you think of famous skyline towers, but the actual winner in this contest is the Las Vegas Stratosphere (Seattle’s Space Needle comes in fourth). San Antonio’s Tower of the Americas is second on the list at 750 feet, only around 300 feet shorter than the Eiffel Tower. It was built for the 1968 World’s Fair, and it’s held the best views over San Antonio ever since. The observation deck is awesome, but to get the most out of your experience, check out the revolving Chart House Restaurant. There’s also a 4D Theater Ride that takes you to and through the Texas skies. For what it’s worth, most people take the elevator to the top, but if you want to climb the 952 steps, by all means. 11. San Antonio is named for a Portuguese saint with an Italian name. San Antonio takes its name from the San Antonio River, “discovered” several years before the city was actually settled. Spanish explorers arrived in the area on the Feast Day of St. Anthony, and the name seemed a logical choice for the river. Who exactly is St. Anthony of Padua? None other than Portuguese-born Fernando Martins de Bulhões. How Fernando of Lisbon ended up being St. Anthony of Padua is a longer story than how San Antonio got its name, but one thing is clear: In San Antonio, diversity and history both run long and strong. Happy birthday, SATX!